This week our Sew What? 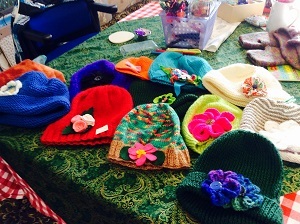 craft group enjoyed jazzing up a few plain knitted hats with some gorgeous crafty flowers – knitted, felt and crocheted – and don’t they just look amazing?! Perfect for adding a bit of colour to a grey January day.